We present tracer, a verifier for safety properties of sequential C programs. It is based on symbolic execution (se) and its unique features are in how it makes se finite in presence of unbounded loops and its use of interpolants from infeasible paths to tackle the path-explosion problem. 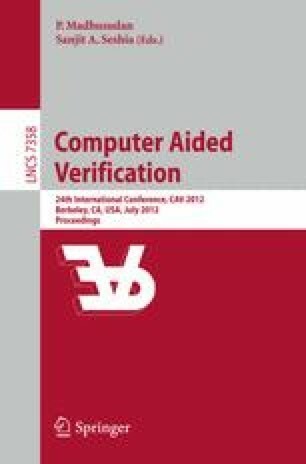 This paper extends the ideas published in [12,13] by describing a method for computing weakest preconditions as interpolants as well as a detailed description of the architecture of the tool and a new experimental evaluation.